The first time I met Dudley, I was afraid. Boxers are formidable looking dogs, built like backroom prize fighters from the rough parts of the last century. They have long muscular legs, deep chests and thick, powerful necks fitting their savage-looking faces—faces that whisper “pug” and scream “pugnacious.” They look like they could run down a wild boar, pin it to the forest floor and hold it there until a German aristocrat arrived with a thick spear. Which is, I imagine, what they were originally bred for. In the absence of wild boar to subdue, most boxers become very sweet, goofy and altogether lovable pets. They have a coherent and untroubled temperment to match their healthy, naturally proportioned frames. They are great dogs for young families, wandering bachelors, single ladies, junk yard proprietors, nice suburban couples or yes, German royalty. They are an excellent choice for enthusiastic first-time dog owners as well as lovely additions to established domestic packs. One could make a strong case for boxers as the best all-around breed. 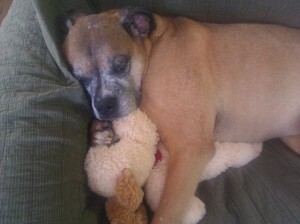 I’ve known boxers since I was a child, seen them raised up from puppyhood and come to love even their faults. The greatest of these, as far as I can tell, is that they make you love them dearly, convince you that you’ve found a loyal friend forever, and then, one day, without permission and contrary to everything you’ve come to expect from so vibrant and optimistic a creature, they die. 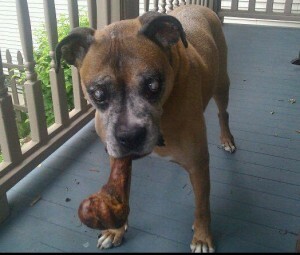 Last week my pal, Dudley, passed away. tender soul like a milkbone. The first time I met Dudley, I was scared. let my scent draw him back to earth. We had our little routines. decline. I can’t say I was surprised when I heard the news. plenty of precious walk time. that one great Boxer character flaw. and I’m sure that he had the best, most comfortable end possible. confidant to the king of Monaco. He wore every hat with good humor. type: Bon Voyage Capt. Dudley, you will be missed. Rest in peace, dear Dudley. May heaven have a stuffed animal waiting for you! 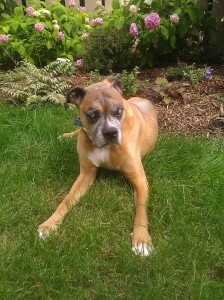 This entry was posted in Diary of a Dog Walker and tagged boxer on September 20, 2011 by admin. 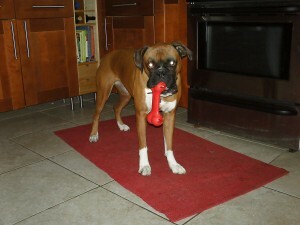 Mattie is a gorgeous little reddish Boxer who walks like no other dog. She hardly sniffs a thing, and only wants to go forward, fast, and now. She could not attract more admiring attention if she were a fine colorful Victorian lady gliding down the street under a parasol, and like such a lady, she is most particular about where she evacuates. It is important that Mattie goes because if she comes home still loaded, she has to be crated instead of free run of the home. Even if it takes extra-long and we have to walk all the way to Indiana, I am resolved to not be satisfied until she is. This is why it’s always very exciting when the great moment arrives. You can tell it’s impending when she lowers her head to actually consider the ground as we walk. Then as we approach the drop zone, she begins to swing her body back and forth in ever-tighter turns, just like a fish swimming up stream, if that fish were also a belly dancer playing hopscotch. I stand back and enjoy the show, trying not to laugh (any disturbance could be fatal to the endeavor) as her turns get tighter and tighter and quicker and quicker until she is not actually moving around but rather just flailing like a possessed and very negative head-banging rock star. Then comes the squat, which is more like a self-defense pose than anything, and then Mattie sheds about a quarter of her body weight. But that’s not the best part. The apex of this little ritual, the part that had me laughing like a mad man in the street the first time I saw it, is what she does with her legs. After all that twisting and dancing, all that kinetic energy needs somewhere to go, and so it shoots through her legs and discharges into the earth like lighting, as her hind legs thump up and down like the happiest of cartoon rabbits. Then, lighter and leaner, she’s off again. I feel privileged to witness this. It’s what zoo keepers must feel like when baby Pandas are born. Mattie’s creation is oh-so-much less cute than a baby Panda, but nonetheless receives prompt attention. And this is the real advantage of having what is by now a preternatural ability to tell when a dog is getting ready to do his duty. Before the pooch can begin kicking up earth, I have their rejected kibble bagged, tied and ready to toss. Dogs can somehow predict earthquakes, but I too can spot the tiniest shift indicating impending seismic movement in the seismometers themselves. The 4th lumbar vertebra lifts about a half millimeter, the sniffing becomes 4-12% more assiduous, the path straightens out and The Poop Walk begins. By this time, I’ve already got a bag open and ready. A pair of figure skaters could not pick up each other’s poop with more speed and grace. But there is a darker side to this ability? The fact that I’m so proud of it is itself quite worrying. Is the price I pay for my new talent…my sanity? Could laughing like a madman as Mattie does her poop dance mean that I’m actually a madman? Is it wrong to be so emotionally invested in a dog’s baser functions? There are little alarm bells in my head that chime even as I strut down the street chirping “Good Mattie! Such a good little pooper! And such a nice big poop!” I’m afraid I’m over the hill. Or the mound, as it were. But I am a professional dammit, and no one can convince me that Mattie is not a good girl. Dogs have such little responsibility, you can’t deny them their little glories. I won’t be the parent that reproaches his 3rd grader for messing up his lines in the school play. Yes it’s poop, and yes I’m losing it, but way to go Mattie. I’m proud of you. 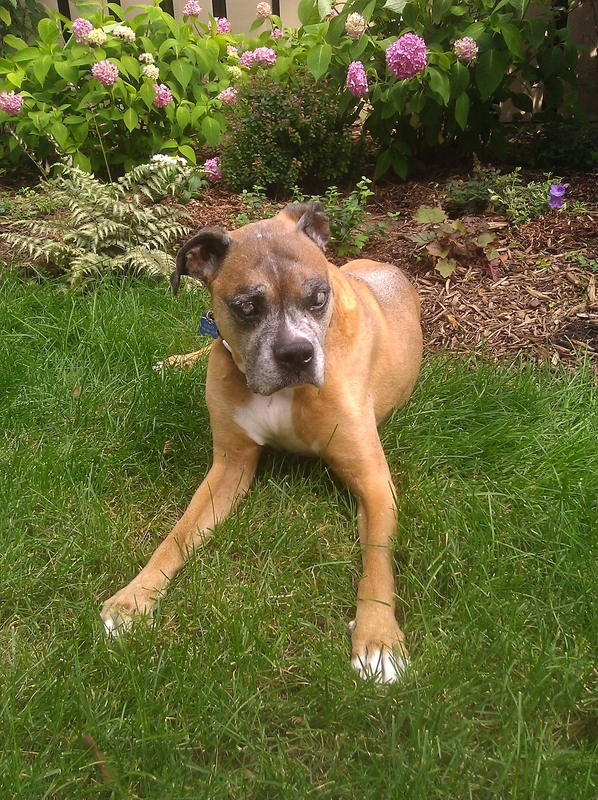 This entry was posted in Diary of a Dog Walker and tagged boxer, dog walking, poop on May 6, 2011 by admin.